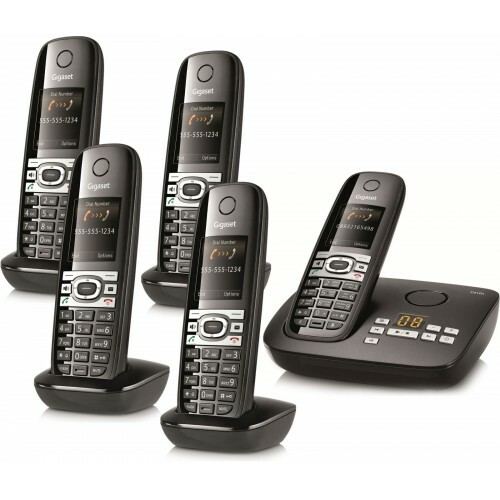 Gigaset combines exceptional call clarity, practical features, and ease-of-use with this solid performing mid-range set of digital cordless phones. Each stylishly designed handset features a large 1.8” full colour display, a dependable talk-time of up to 12 hours, and the integrated answering machine has a recording time of up to 45 minutes. 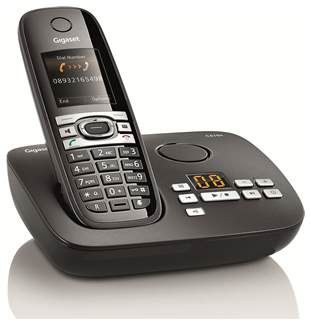 The Gigaset C610A Quint is equipped to meet all your landline needs and has been built from high-quality materials to Gigaset standards for added reliability, and comes with a 2-year warranty. 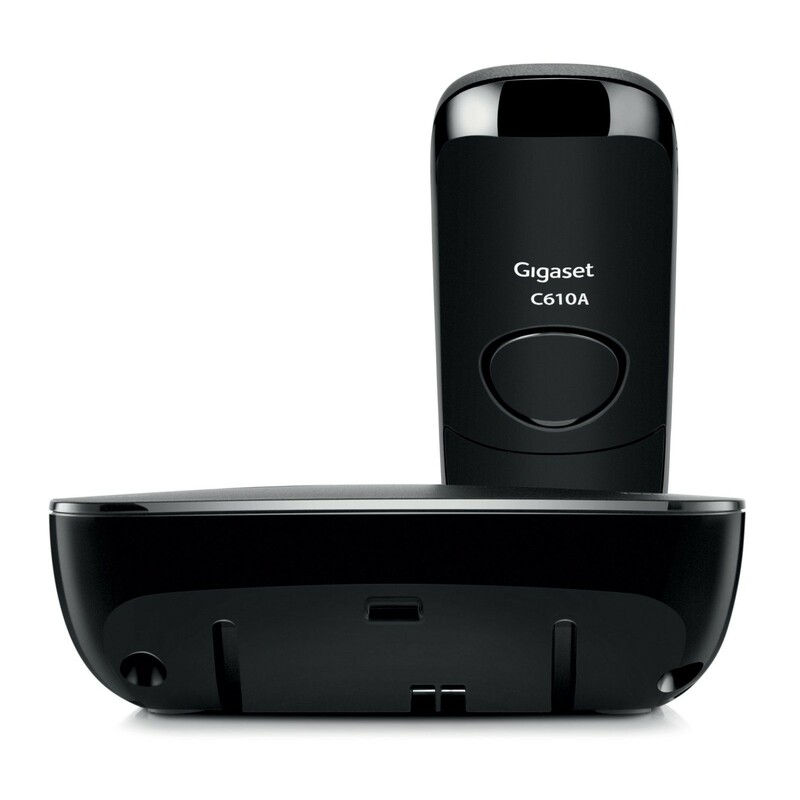 Ideally suited for home environments, the Gigaset C610A was designed to include a range of useful features for families to take advantage of. For those with babies or toddlers, you can use the cordless handset as a baby phone, which will dial any number you specify when the sound reaches a certain level in the baby’s room, and let your child hear your voice. And a convenient night mode, enables you to silence the ringer on the C610A at times you’d rather not be disturbed: during dinner, bedtimes. 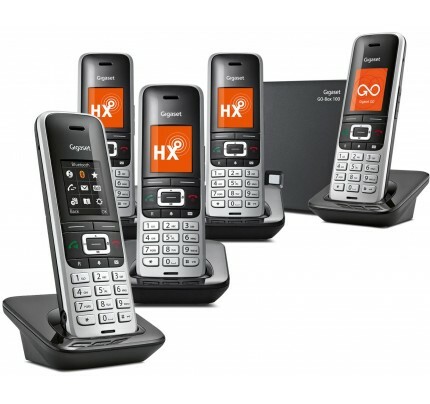 Gigaset are renowned for manufacturing some of the best cordless phones for sound quality, and continually see their products recommended by Which? 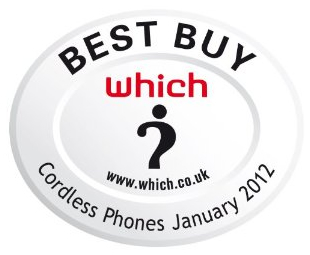 as best buys, and endorsed by our customers. The C610A features their innovative HSP technology, which provides higher sound quality than on a standard landline phone; and a convenient speakerphone and 2.5mm headset socket enables excellent call clarity in hands-free. The C610A further benefits from full compatibility with the L410, which is purpose built loudspeaker that clips onto your clothing. 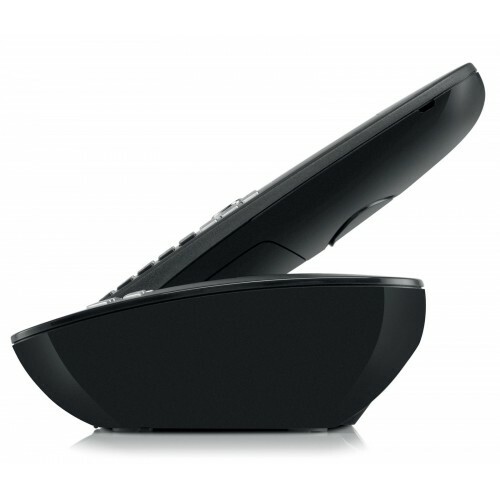 Let the C610A manage your missed calls more efficiently, with the in-built answer machine on the base. A handy LED indicator displays how many messages are waiting to be listened to, and playback can be initiated from the base and the cordless handset. The intuitive skip-back function allows you to quickly play back the last few seconds of messages and catch something you may have missed without having to replay the entire message. The Gigaset C610A Quint are an impressive set of mid-range cordless phones that offer style, performance, reliability; and receieved an endorsement from Which? as a Best Buy. Used to replace 5 year old Panasonic units and these are much clearer with a better range.